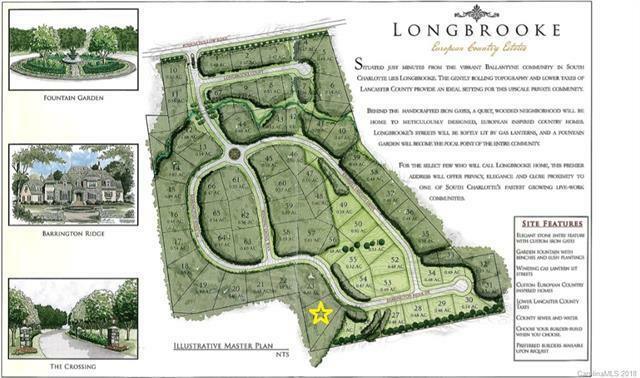 LONGBROOKE PHASE II GRAND OPENING OPPORTUNITY...Priced to sell!!! This premier basement lot (#24) is one of the largest in Longbrooke (0.73 acres) and backs to a 2-acre common area for unbeatable privacy. Longbrooke is an upscale gated private community with custom European estates and is situated just minutes to Ballantyne just off the 521 corridor. Low Lancaster County property taxes and no impact fees. Very little site work required on this lot to build your dream home or to make an investment for the future.